I re-covered an entire set of the Encyclopedia Britannica to form a de-saturated colour wheel. 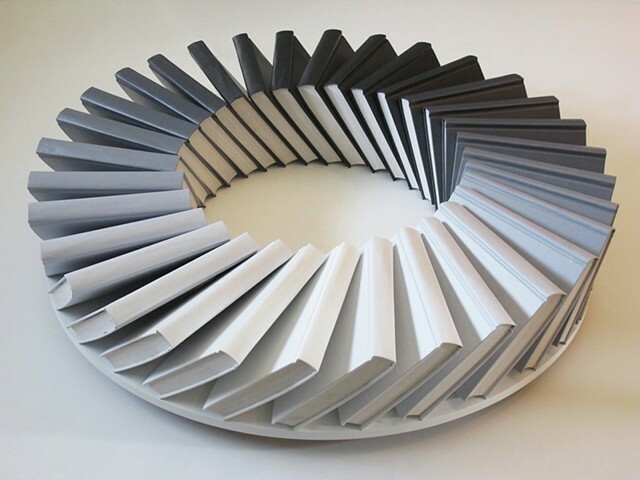 I replaced the alphabetical order of an encyclopedia with a 32 part grey scale. The newly formatted books have an order that resists the notion of a beginning or an end.